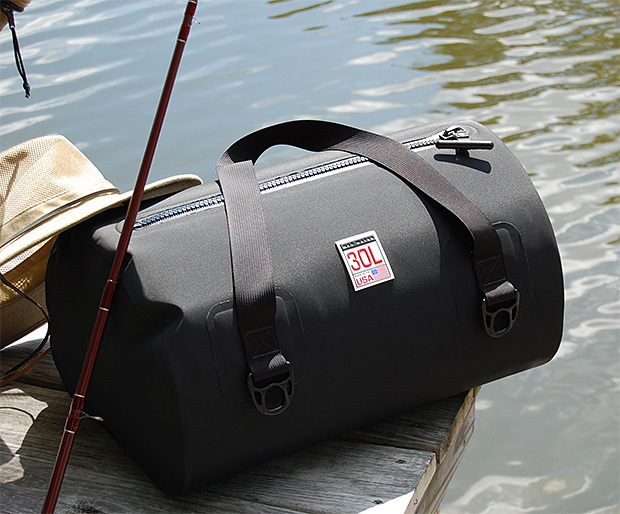 Madwater duffel bags are truly waterproof. These commercial grade dry bags are made in the USA. They feature waterproof YKK zippers & are submersible to 15 feet. Matte black and available in 30, 65, & 90-liter sizes.